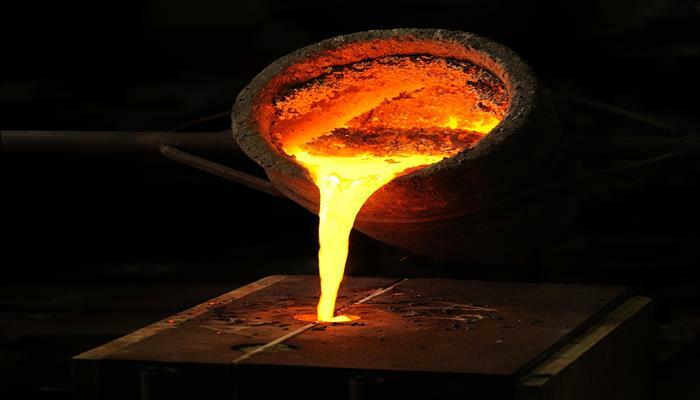 Malabou is Metal Casting Specialists and offer a range of casting processes and casting materials to satisfy most requirements. Our metal casting ranges from a few grams to several tonnes in production volumes of a few items to production runs of 10,000s. Our range of metal casting processes allows us to select the best production methodology to satisfy your requirements. Our focus is on supplying Original Equipment Manufacturers (OEMs) and Industrial Clients. To meet your requirements, we offer four casting process. Also known as Lost Wax casting for high accurate work with casting ranging from a few grams to about 40Kg. Typical Run Size 10’s to 1000’s Materials Cast – Widest Range of all processes Tooling cost moderate. Low Carbon Steel Also known as plain-carbon or mild-Steel steel contains approximately 0.05–0.25% carbon. Mild steel has a relatively low tensile strength, but it is inexpensive. Surface hardness can be increased through carburising. Medium-carbon steel Approximately 0.3–0.6% carbon content. Can be hardened and tempered and balances ductility and strength and has good wear resistance. High-carbon steel Approximately 0.6–0.9 % carbon content. Can be hardened and tempered. Very high hardness and strength achievable offset against decreased toughness. Tempering the hardened material allows a compromise, between hardness and toughness. LOW ALLOY STEELS Low alloy steels are used when strength requirements are higher than those obtainable with C steels. Low alloy steels also have better toughness and hardenability than C steels Relatively low additions of certain elements, and combinations of these elements, to a plain carbon steel composition can have a dramatic effect on the mechanical properties and heat treatment response of the steel. These elements include, Cr, Ni, Mo, V, W, Cu, Si, and Mn. The compositions of low alloy cast steels are characterized by C contents primarily under 0.45 % and by small amounts of alloying elements, which are added to produce certain definite properties. Low alloy steels contain alloying elements, in addition to C, up to a total alloy content of 8 %. The most common Duplex Grades that our customers encounter are 2205 and 2507, the cast equivalent grades to thee wrought designations are CD3MN (2205) and CE3MN (2507) both grades that we routinely cast, with casting weight ranging from a few grams to about 1000Kg. First generation duplex stainless steels such as CD4MCu have been in use for more than fifty years. 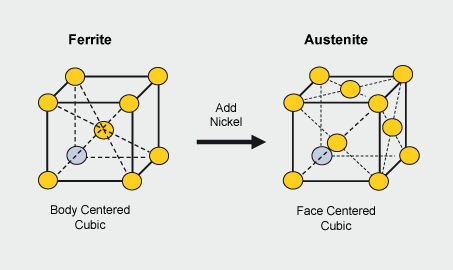 Their structure is usually 40 to 50% ferrite with the balance of the microstructure austenite. Their higher ferrite levels provide significantly better chloride stress corrosion cracking resistance than austenitics and higher chromium and molybdenum contents provide good localized corrosion resistance. Welding may reduce corrosion resistance and ductility unless it is followed by a post-weld solution heat treatment. None of the duplex stainless steels should be used in continuous service above 600°F (315°C) because of the potential for 885°F (475°C) embrittlement of the ferrite phase. Second generation duplex stainless steels such as CD3MN, CD3MWCuN, CD4MCuN, CD6MN, CE3MN, and CE8MN provide improved weldability and corrosion resistance over first generation duplexes. 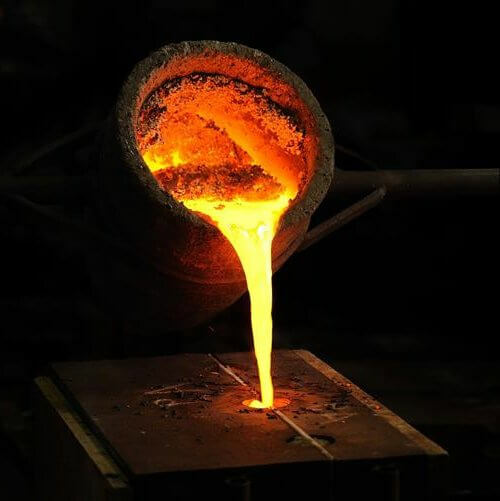 The most commonly used duplex casting grade is CD4MCuN. The duplex casting grades are characterized by the addition of nitrogen as an alloying element and an approximate 50-50 mixture of ferrite and austenite. When proper weld procedures are followed, there is minimal reduction of corrosion resistance or ductility. They provide excellent resistance to pitting, crevice corrosion, and chloride stress corrosion cracking; good toughness; and improved strength over the 300- series austenitic stainless steels. The austenitic stainless steels alloys possess a unique combination of properties which makes them useful at cryogenic (very low) temperatures, such as are encountered in plants handling liquefied gases. These materials at cryogenic temperatures have tensile strengths substantially higher than at ambient temperatures while their toughness is only slightly degraded. Low Magnetic Permeability We can produce a range of alloys that have low magnetic permeability’s of 1.05 Mu or lower. We have the capability to report the magnetic permeability of alloys in accordance with ATSM A342 method 3. Malabou can produce and measure the magnetic permeability of alloys to lower than 1.01 Mu. Non-Sparking Alloys Malabou can produce a range of alloys that can be used in environments where fires and explosions are a concern. These include industries where fluids both vapour and liquids, and particulates such as dust and residue are present and can be ignited. We can produce a range of alloys that have low magnetic permeability’s of 1.05 Mu or lower. We have the capability to report the magnetic permeability of alloys in accordance with ATSM A342 method 3. Malabou can produce and measure the magnetic permeability of alloys to lower than 1.01 Mu. Malabou can produce a range of alloys that can be used in environments where fires and explosions are a concern. These include industries where fluids both vapour and liquids, and particulates such as dust and residue are present and can be ignited. Malabou cast special alloys that allow for castings to be used at elevated temperature’s, in some cases in excess of 1000°C. These heat resistant casting alloys consist of predominantly of combinations of nickel, chromium and iron together with small percentages of other elements. Castings made of these high temperature alloys exhibit good mechanical strength and toughness at elevated temperature as well as oxidation and corrosion-resistance in environments as temperatures where they are to be used. The common designations for cast alloys are descriptive of their chemistry and purpose. This designation system was established by the Alloy Casting Institute (ACI) and has been adopted by ASTM. 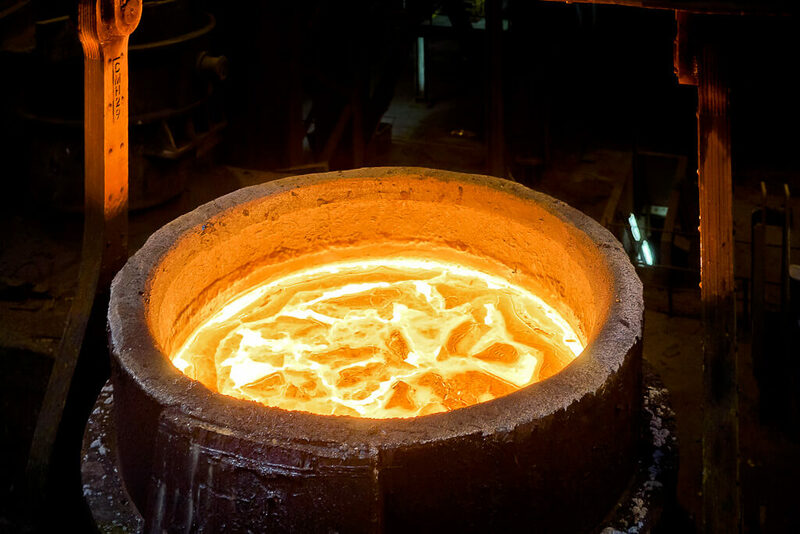 The Alloy Casting Institute designations use “H” to indicate alloys generally used in applications where temperature is more than 537°C (1000°F). The second Letter represents the nominal nickel content, increasing from A to X. The heat Resistant alloys can be classified according to composition and metallurgical structure into three broad groups: Chromium-Iron Alloys e.g. HA, HC, HD These alloys are predominantly ferritic with up to 30% chromium and up to 7% Nickel. They have relatively low hot-strength and are seldom used in critical load bearing applications above 760°C. Commonly used in applications involving uniform heating and high sulphur atmospheres. Chromium-Nickel-Iron Alloys e.g. HE, HF, HH, HI, HK, HL These alloys are characterised by good high temperature strength, Resistance to Oxidising and reducing Atmospheres and are particularly useful for atmosphere with high sulphur, particularly in reducing atmospheres. They typically contain 8% to 20% nickel and 18% to 32% chromium and duplex to fully austenitic microstructures. Nickel-Chromium-Iron e.g. HN, HT, HU, HW, HX Fully Austenitic and contain 25 to 70% Nickel and 10 to 20% Chromium. Since no brittle phase forms in thee alloys at elevated temperatures, they can be used satisfactorily up to 1150°C. They have good hot-strength, carburisation resistance and thermal fatigue resistance. They are widely used for load bearing applications and applications subject to cyclic heating and large temperature differentials. They will withstand reducing and oxidising atmospheres satisfactorily but high sulphur atmospheres should be avoided. They have good weldability and are readily machined. High Temperature Castings Applications include: Furnace Rabble Arms, Grizzly Bars, Hot Pan Conveyors, Salt Pots, Cement Kiln Ends and Nose Sections, Gas Turbines, Furnace Arches and Lintels, Radiant Tubes, Retorts, Stack Dampers, Heat Treatment Baskets, Tuyeres, Hearth Plates, Burner Tubes. Malabou supply castings to meet Wear and Abrasion applications. Wear Resistant Cast Irons Wear resistant alloy irons are an important class of cast irons, they find wide application for the manufacture of mineral crushing plant, e.g hammers for rock crushers, grinding balls, liners for crushing mills etc. They are also used in shot blasting machines for impellers, liners etc. Three types of cast iron are used: White Iron. Unalloyed and low alloy grades of white iron having a structure of massive carbides in a pearlitic matrix. These alloys are extremely brittle and have been largely superseded by tougher, alloyed white irons. Ni-Hard Ni-Hard is a generic name for a family of white cast irons alloyed with nickel and chromium to give high hardness and outstanding resistance to abrasion. Ni-hard irons contain Ni to increase hardenability by ensuring that austenite transforms to martensite after heat treatment. They also contain Cr to increase the hardness of the carbide. The most common grades are the medium alloyed Ni-Hard 1 & Ni-Hard 2 and the high alloyed Ni Hard 4. These three grades make up the vast majority of industrial Ni-Hard. Cr-Mo White Iron High Cr-Mo white irons combining abrasion resistance with toughness. The Mo increases hardenability allowing heavy section castings to be made with a martensitic structure, either as cast or heat treated. Austenitic Manganese Steels Also called Hadfield Steel or Mangalloy. Austenitic manganese steels can offer the best combination of toughness and resistance to high stress and gouging abrasion. Also, Mn steels offer excellent potential in replacement of expensive chromium iron alloy, which are known to possess high hardness and wear resistance. This widely used steel contains from 10–14%Mn and 1.0–1.4%C (typically 12%Mn, 1.25%C). The as-cast structure contains carbides and other transformation products which produce brittleness. The castings are solution annealed producing a fully austenitic structure that is quite tough. On account of their unique ability to resist pounding and severe abrasive wear, Mn-steel castings are used for railway track-work, dredging, excavating, pulverising and crushing equipment for mines and quarries, cement mills etc. 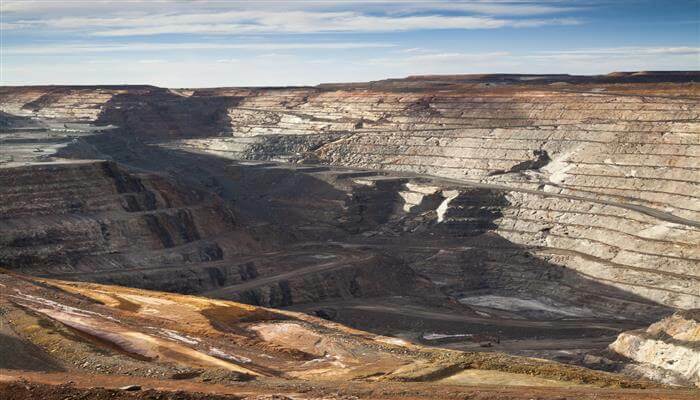 Wear Resistant Tool Steels As well alloying to achieve full martensitic hardenability, carefully alloying with certain carbide form elements will result in many alloy carbides remaining undissolved. These hard refractory carbide particles serve to significantly increase the abrasion resistance of Steel. The elements commonly used for this purpose include Tungsten, Molybdenum, vanadium, titanium and Chromium.